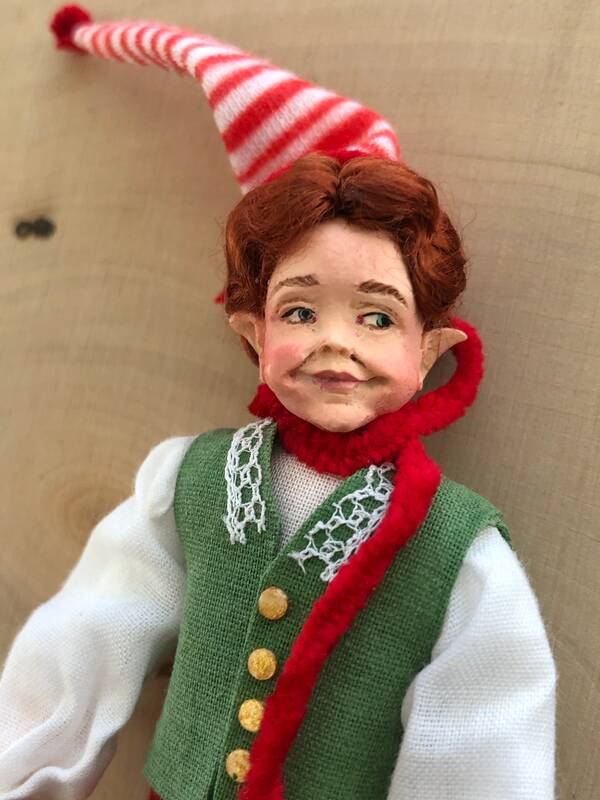 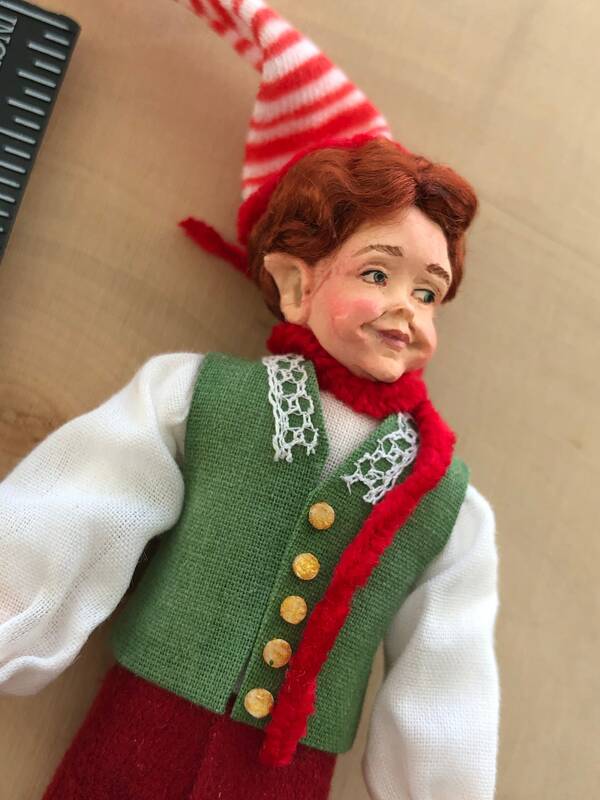 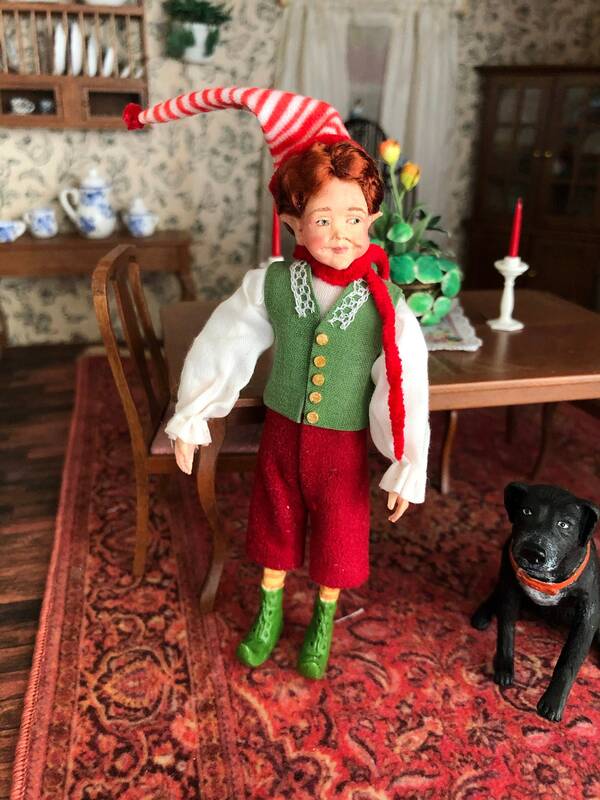 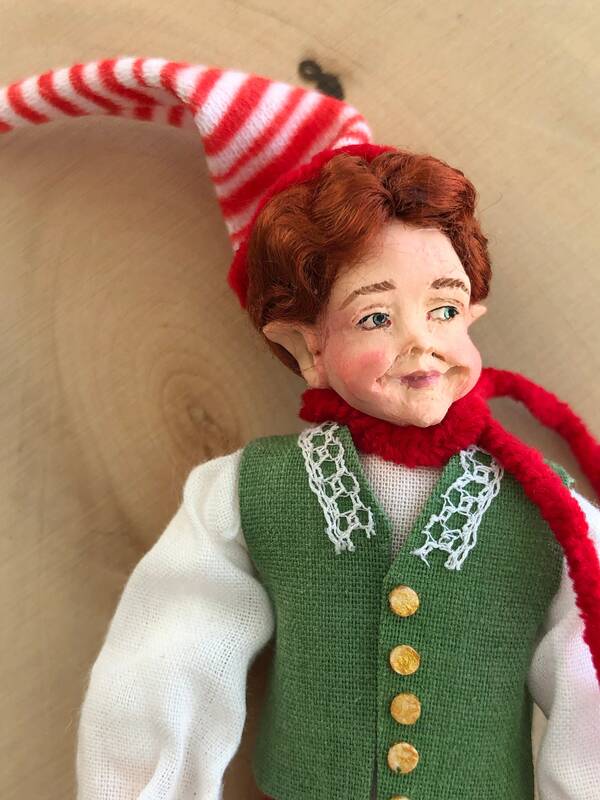 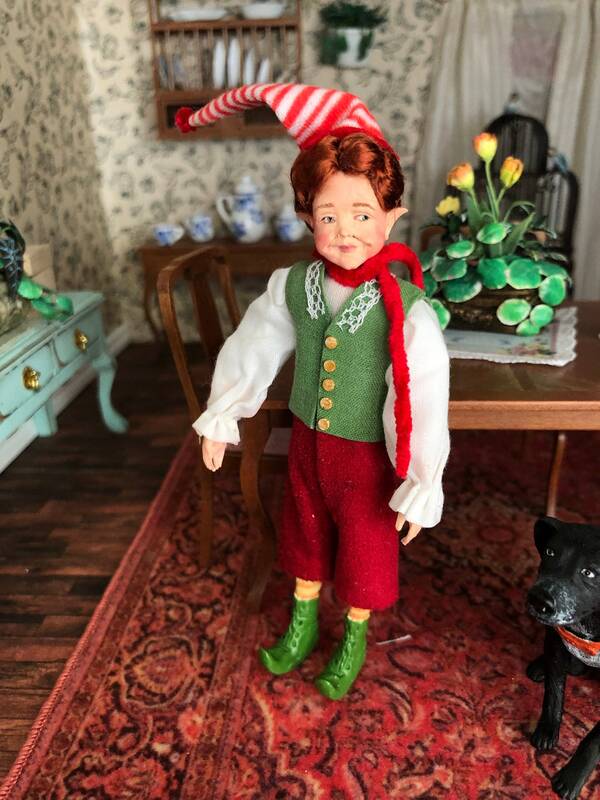 Last one, this detailed Elf doll was designed by Marcia Backstrom and distributed by Falcon. 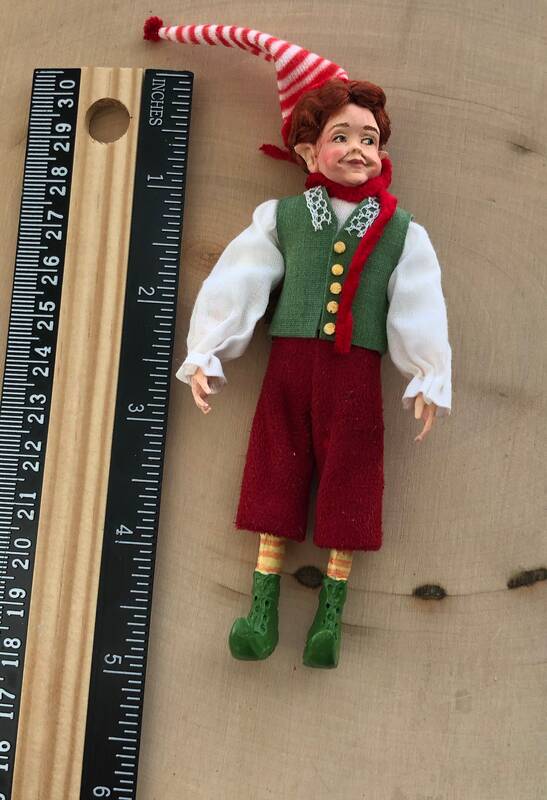 Please carefully review photos this is the only one I have left, these are getting harder and harder to come by. 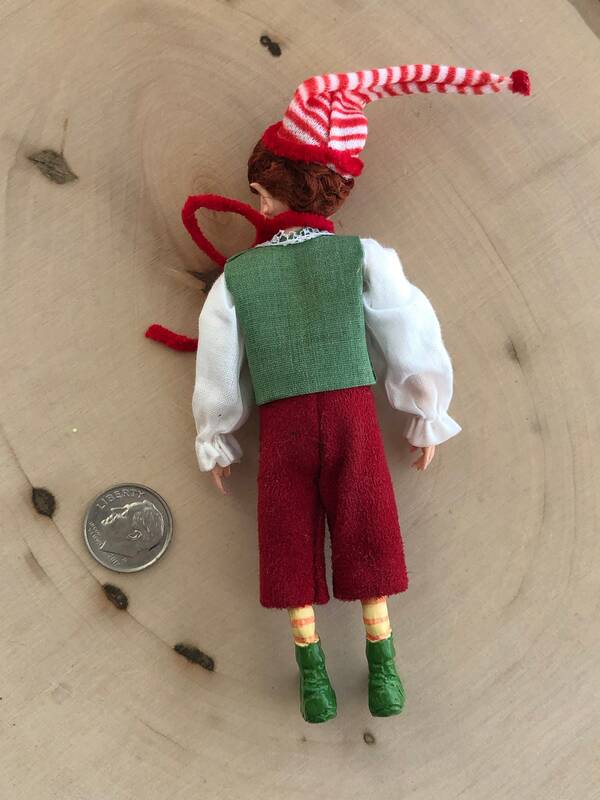 Clothes are attached and not intended to be removed. 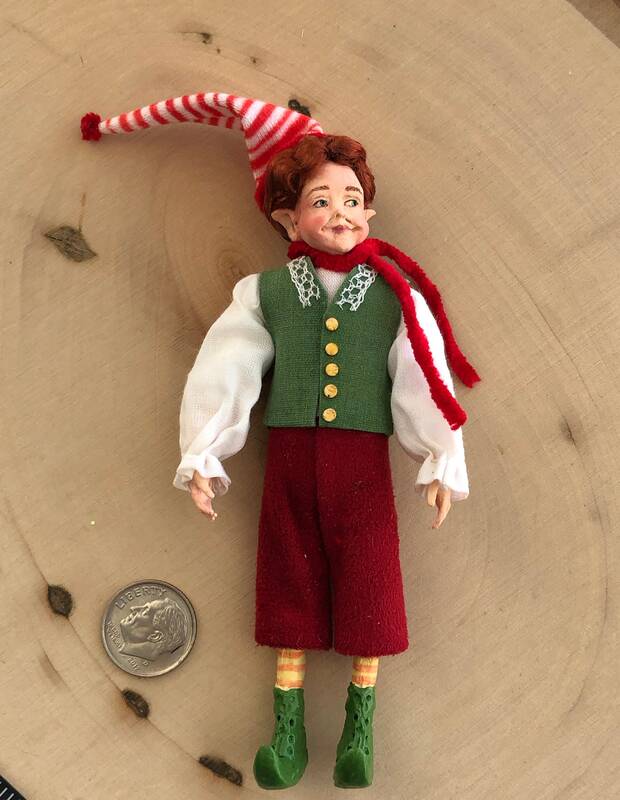 Center of body is cloth so arms and legs are slightly movable. 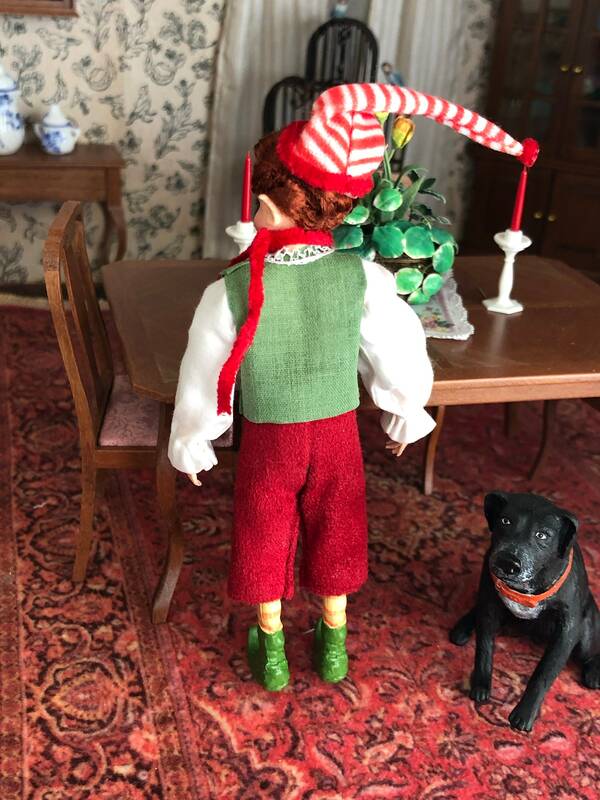 Please note, I've seen photos of other that have little red pompoms on the boots, but this one doesn't, price has been reduced to reflect. 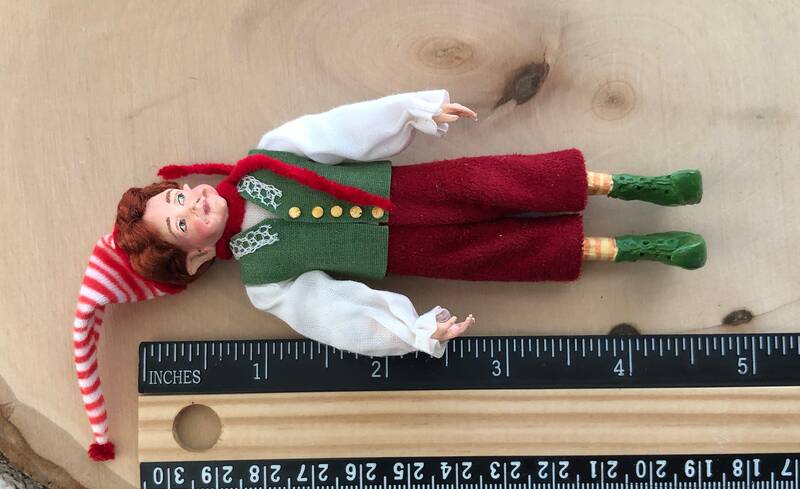 ***Notes: Other items shown in photos are used as props and are not included in this listing, but may be sold separately in our shop.